The large-scale intervention is conceived as a stitching process, by which the Gamla Övägen is no longer a linear barrier. 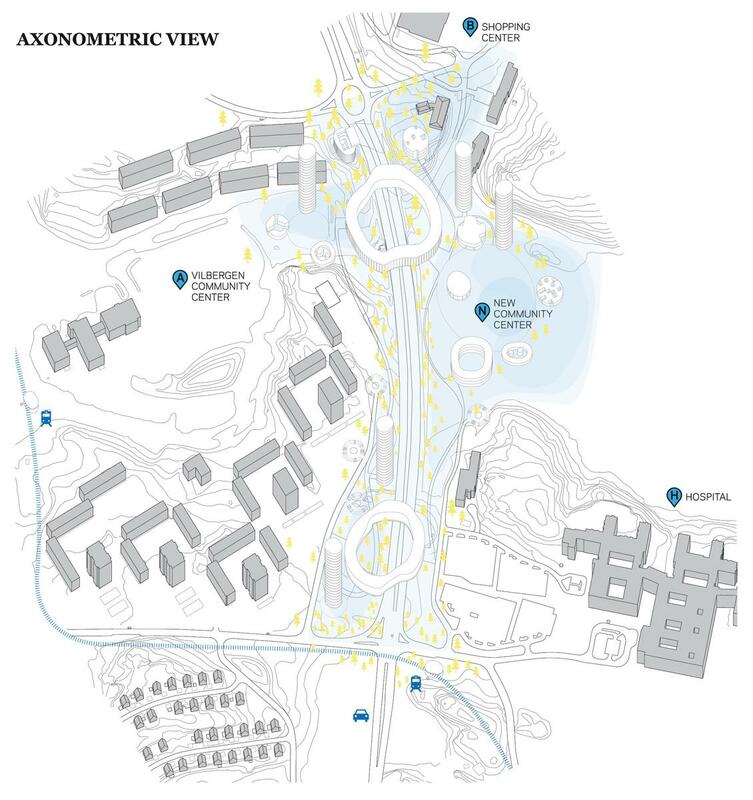 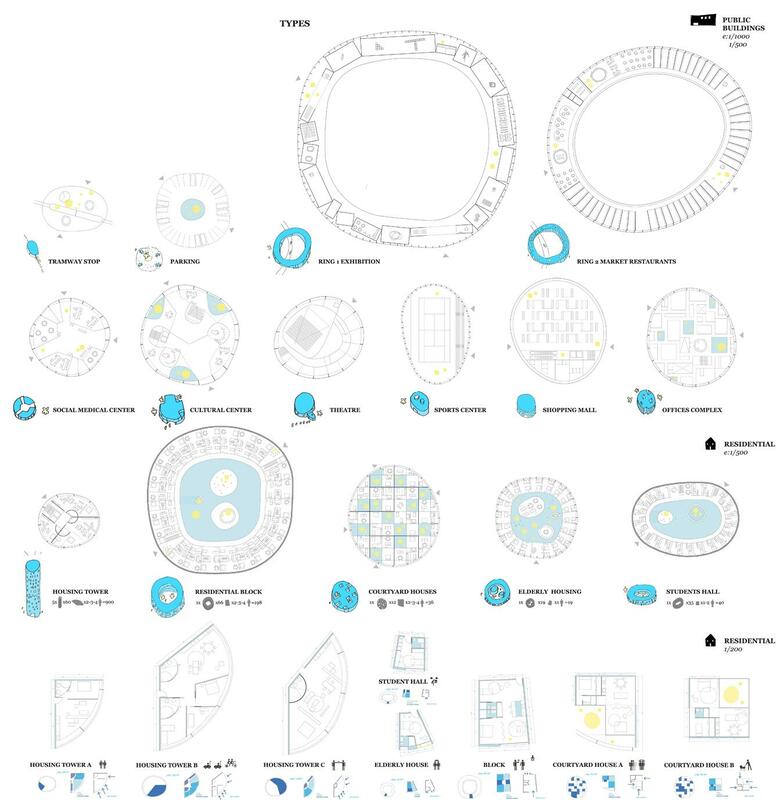 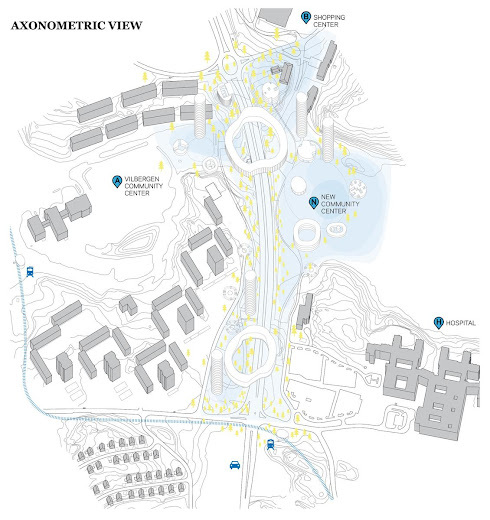 The aim is to reactivate life in this outlying neighbourhood and the operation is materialized by a number of rings, which morphologically adapt to the landscape and the necessities. 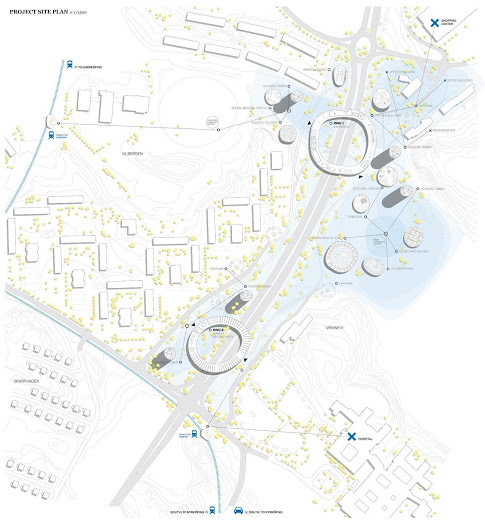 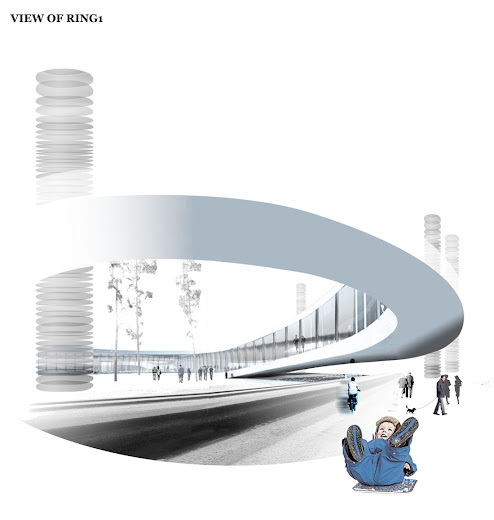 Conceptually perceived as glue drops the infrastructural rings will provide the people from Norra Vrinnevi with the appropriate connection, as well as being equipped with hybrid functions in a must-see pedestrian path. The housing units are strategically placed responding to the social-age groups and the new uses. 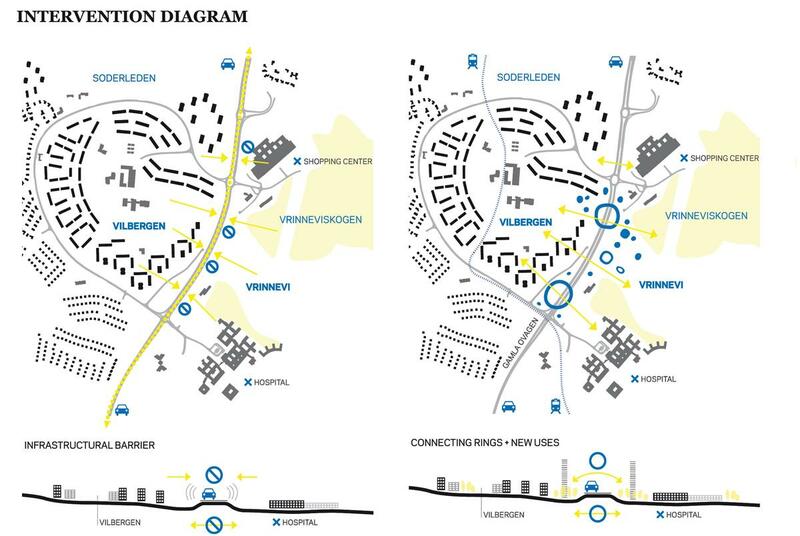 The optimistic intervention is understood as a complementary node to Vilbergen, with an insight into new activities that can help attract young people to the area. 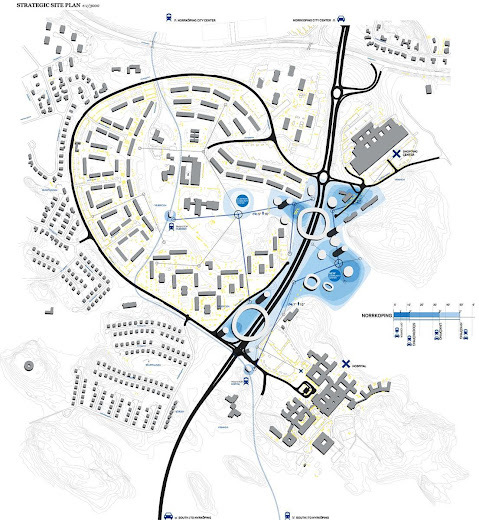 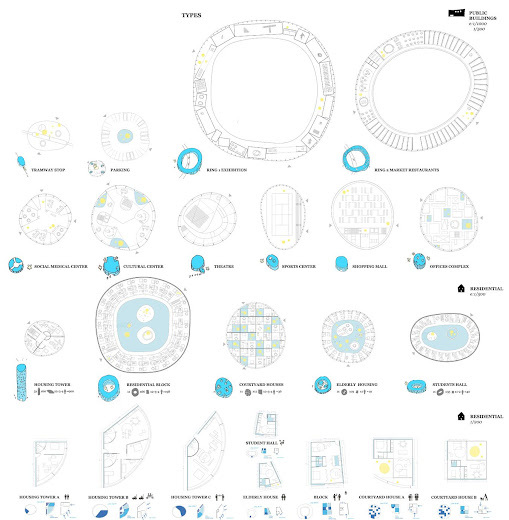 The circular units adequately fit into this periphery-type landscape. 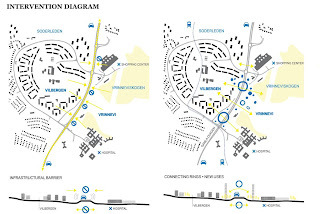 The settlement component, understood as as the form adapted from the old age (Stonehenge) , will provide this in-between area with a specific character, allowing the people to feel protected from the hostile environment created by the road. 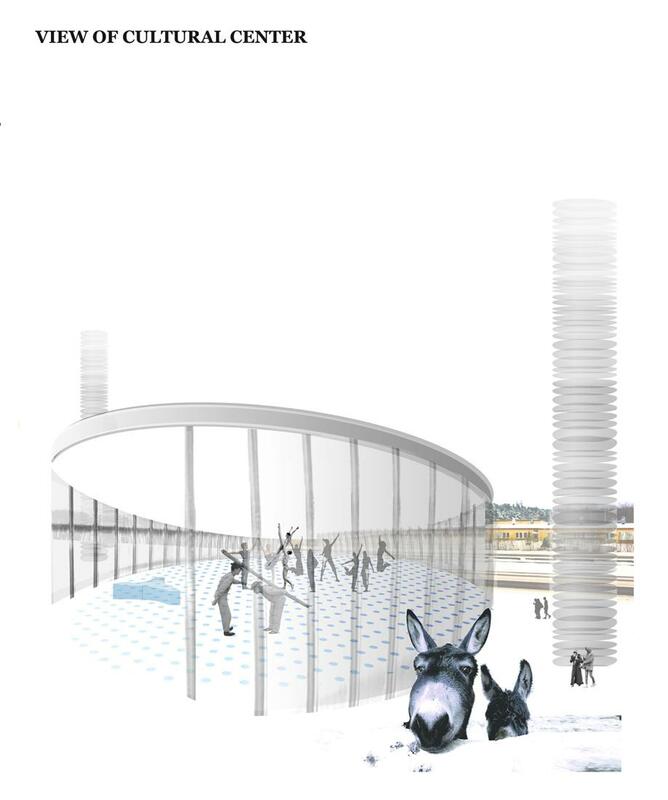 This way the circular units are conceived as land art objects that will give refuge to new inhabitants, marking the territory the same way Robert Smithson or Michael Heizer proposed. 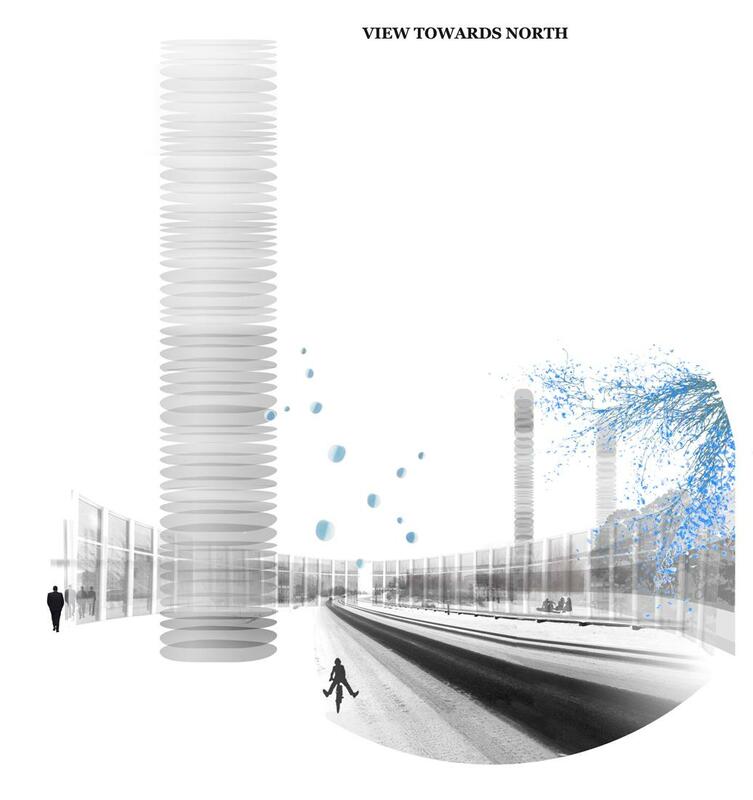 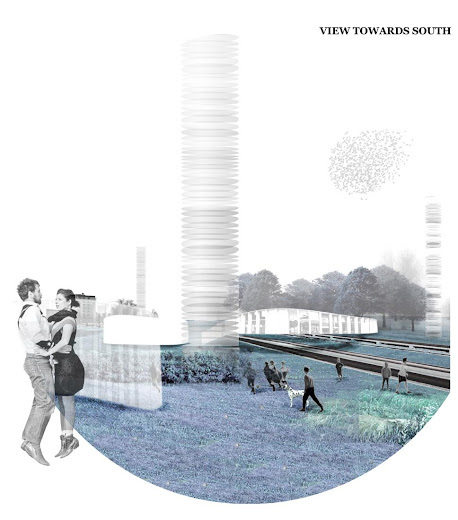 This elements coexist with the the typical Norrkoping infrastructures, and the resulting superposition creates a new suggestive landscape of ovoidal forms and a few towers that evoke the collective memory of the industrial landscape from the past.